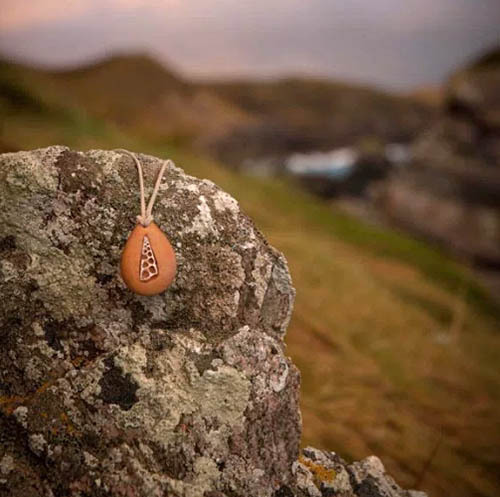 Anna’s boyfriend, Terry, had given her a hand-carved necklace made out of Huon pine — a variety native to Tasmania — for their one-year anniversary in 2015. 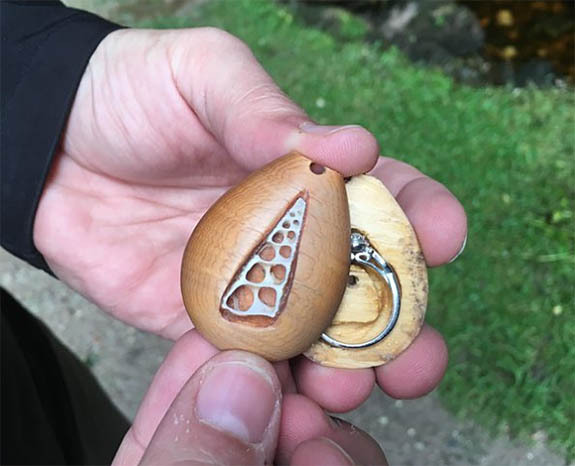 Little did she know that hidden in the center of the unique keepsake was a secret compartment containing a diamond engagement ring. “I had always loved the idea of giving someone a gift where they didn’t know its true value,” Terry told metro.co.uk. Before they got to their Scottish destination, Terry feared that his surprise might be foiled. For instance, he worried that the X-ray machine at airport security might expose the precious metal-and-diamond treasure tucked in the wooden necklace. It didn’t. 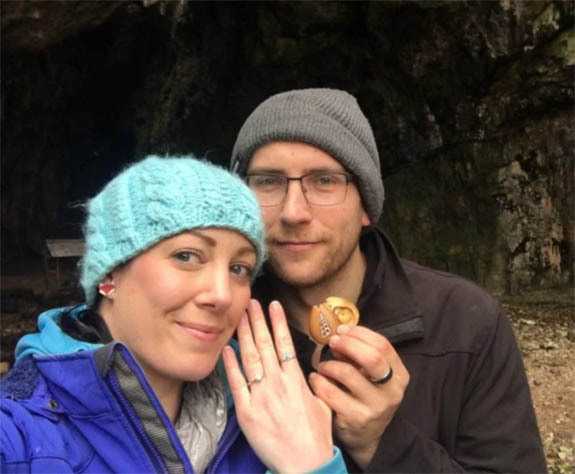 Months earlier, Terry learned that a local blacksmith had admired Anna’s carved necklace and that his girlfriend had contemplated trading it for some of the blacksmith’s work. She didn’t. After she was able to collect her thoughts, Anna expressed some lighthearted objections to her fiancé’s clever — but risky — ruse.